Review by Third Age critic Barbara Michaels. Opening with a cacophony of sound, accompanied by a robust rendering of “If music be the food of love, play on,” Filter Theatre’s production of Shakespeare’s Twelfth Night, is raucous, lively and highly comedic. If the intention was to shock those who prefer their Shakespeare in more traditional style, then it succeeds. This is a radical interpretation of the original comedy of unrequited lover and mistaken identity in the fictional land of Illyria – where all is not as it seems. Both innovative and clever, the production relies on the interaction of cast on stage (and, some of the time, seated in the audience too) and audience – plus musical backing or, rather, participation. There are times when it is possible to have too much of a good thing and, despite being performed by accomplished musicians and an integral part of the whole, it would benefit the production overall if the music was not quite so full on. All in all, it’s something of a miracle that the wonderful language and poetry of Shakespeare’s comedy still manages to surface with a golden liquidity that catches at the heartstrings. Which it does, somewhat amazingly perhaps, given that the whole is interspersed with modern gadgetry such as synthesisers and mobile. Several of the small team of actors are case in dual roles, in addition to the more usual modus operandi of this being applicable only to the twin sister and brother Viola/Sebastian, whose story of lost and found is central to the plot. Sarah Belcher plays both these roles, switching dexterously between the masculine and the feminine in posture as well as tone. This is, however, not always the case with the rest of the cast, although Natasha Broomfield does pretty well with Maria and the fool Feste, the latter role being clarified by a fool’s cap and some throwing of coloured balls between stage and audience – a tad too pantomimic for my liking. The complexity of the story is such that those who are not familiar with the play may struggle to work out which character is speaking at times – particularly in the case of Jonathan Broadbent’s double act as Orsino and Sir Andrew Aguecheek. Liz Fitzgibbon’s Olivia is a delight. Along with her considerable ability as an actor, Fitzgibbon has a fine singing voice. Displaying considerable talent as well as a spread of hair-free torso, Fergus O’Donnell as Malvolio throws himself into the part with an insouciance and gay abandon that has him capering about the stage in a pair of golden speedos. One has to give Filter marks for originality, along with the proviso that sometimes less is more. This wasn’t strictly a play – more of an out-of-body experience. Or at least that’s what it felt like. The aptly named Difficult Stage have brought us a black comedy of failure from the delightfully disturbed mind of Katy Owen. Presumably autobiographical, this hilariously dark reverie through Katy’s psyche comprises a birthday celebration, an acapella sing-off, a rather profane episode of The Archers and a minstrel (not the confectionery kind). Unlike anything you’ll ever see ever again in your life ever, The World of Work is an evening of utter absurdist hysteria. In fact, it’s so vibrantly original, I can guarantee that every critic will struggle trying to put it into words; alas, I’ll try my best. Hemmed in by a jungle of potted plants and tasteless furniture, we find ourselves as guests to Katy’s birthday party welcomed by a charmingly witty Ben Tyreman who plays Neil, intermittently offering cheese to front row audience members (there’s a tip for any cheese-loving punters – nab a front row seat). Along with Neil, another of Katy’s motley crew is François Pandolfo playing an out-of-work, out-of-mind actor who’s penned what he believes to be a ground-breaking new play about Aborigine Australians moving to the Valleys (a performance of which is given as a painfully funny climax). And last but not least, Lisa Palfrey steals the show as the, shall we say, unstable Aunty Andrea guzzling vodka and yelling vulgarities. The narrative is fragmented through discussions of Katy’s failures over the years – her bit-part inCasualty, her… Well, actually, that’s about it. Owen seems to be pleading for recognition of her impractical talents for mimicking demented leprechauns. In an attempt to console herself, through a mist of liquor, she lists of the failures of her guests and so grows to the point that we are all let-downs, and it’s those who can make something of it that succeed. Though Lisa Palfrey’s virtuosic set of accents and deranged farcicality earns many guffaws, the comic timing is consistent throughout the company. With the addition of Jamie Garven’s direction, the audience are left with creased faces and damp seats. What is reassuring though is a total absence of pretension – this is a play that ultimately has a heart and a truth to it, a genuinely optimistic love for behaving badly. With the brand ‘absurdist’ comes many presumptions, but the originality of Difficult Stage bypasses the label. You have until Saturday to catch this work of unhinged brilliance. I suppose, yes, your sanity will diminish slightly after you’ve seen it, but you’d be raving mad to miss it. 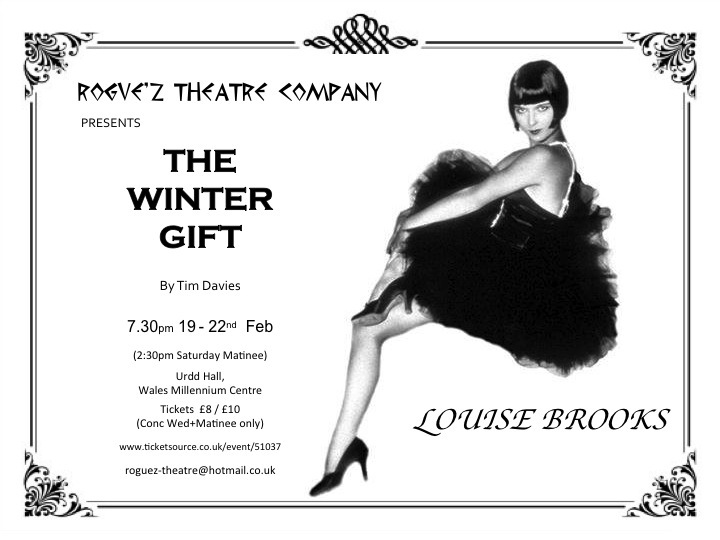 Review: ROGUE’Z Theatre – The Winter Gift at the Urdd Hall, Cardiff by Young Critic Sam Pryce. Director Nerys Rees presents a stripped-down production with a minimalist set that cunningly incorporates the monochrome palette of silent films. The cinematic atmosphere is enhanced through the integration of projection intermittently showing snatches of footage – some of Brooks herself, others made by the company. Lizzie Mulhall’s costume, hair and make-up by Natalie Wright compliment that black-and-white sophistication and pre-show introductions to the dramatis personae are thrown in for good measure. The narrative flits back and forth from the feisty, fresh-faced Louise Brooks in her heyday (played with fire-cracking audacity by Rhian Cheyne) to the destitute, alcoholic recluse she became. Karen Thomas gives a reckless portrayal of this darker side, slumping about the apartment yelling in a hoarse rasp. Andreas Constantinou brilliantly plays the devoted fan James Card who visits Louise, pleading her to write her memoirs and allow the world to realise her worth. It is these duologues that prove the most engaging and well-written, sizzling with venomous ruckuses, whilst the vignettes from the past tend to have us stifling yawns. Other notable performances are given by: Louisa Marie Lorey who is monstrously funny as the eccentric Alice Roberts; James Pritchard as the silver-tongued Shulbberg; Andrew Ford as a comically deadpan Fritz Kortner; and Brian Smith as GW Pabst – the director who brought Brooks to fame. And, of course, à la Alfred Hitchcock, Nerys Rees makes her own scantily clad appearance as Marlene Dietrich, provoking more than a few chuckles. Although the play’s subject is perhaps a little esoteric, Davies peppers the dialogue with enough context to not lose anyone along the way. Younger theatregoers (unless aficionados of silent cinema, of course) may not be downright enthralled, but if you’re up for a sprawling bio-play of one woman’s experiences of fame and (mis)fortune, you’ll be in for a treat. Golwg360 and Wales Online very kindly hosted the public online votes for this years Theatre Critics of Wales Awards. The percentage breakdown of the votes is shown below. The Wales Arts Review readily acknowledges the importance of Guy O’Donnell’s development work with young and ‘third-age’ critics, through his Bridgend-based projects, as we believe that creativity thrives and standards of practice improve in a climate of informed critical debate. 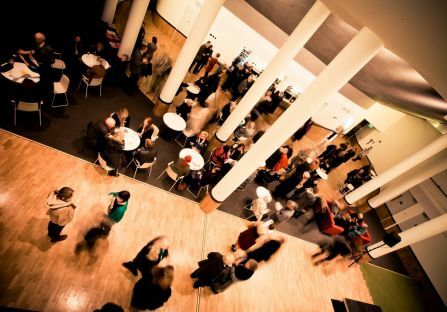 We have also proudly supported the Theatre Critics of Wales Awards, which Guy and the Young Critics founded last year, as a forum that brings a welcome focus to recent exciting developments in the Welsh performing arts. There are those who criticise awards events as exercises in mutual backslapping and marketing, those for whom the very notion of judging artistic work is too highly subjective and reductive. The language of awards categories is unhelpful here – can it really be said that one play is objectively better than others? Of course not. One answer might be to give an award to the ‘play that was deemed, subjectively by a group of people with some claim to know what they are talking about, at a specific point in time, as being of such singular distinction that they decided to recognise its achievement with a trophy’ – but you could never find a plaque big enough for the engraving. Why not dispense with a theatre awards event altogether? Well, that would only serve to deprive theatre artists, critics and audience members of an opportunity to debate, in public, aesthetic values and cultural trends in Welsh theatre. It is the impossibility of being able to proclaim a performance or play as being definitively the ‘best’ that provides the TCWA with its sense of purpose – it gets people talking about theatre, opera and dance and provides benchmarks against which artists can measure their future work. The selection of the Best Playwright in the English Language category involved several rounds of extensive and exhaustive discussions that included professional arts writers and Young and Third Age critics. The category is quite an onerous one, as Wales does seem to be enjoying a particularly fertile period of play writing in English. The first stage of judging entailed compiling a shortlist of plays from a raft of nominations. The rules of the TWCA selection process created several anomalies, so Tim Price’s Salt, Root and Roe was eligible, because it had its Welsh premiere at Theatr Clwyd in 2013, whereas his more recent play Protest Song was not as it was staged exclusively in London at the end of last year by an English-based company. Likewise Alun Harris’ thought-provoking play for NTW The Opportunity of Efficiency was ineligible for consideration. Four TCWA nominations for The Bloody Ballad reflected a positive critical consensus regarding Gagglebabble’s half-play half-gig; yet in spite of some evocative and well-observed snatches of dialogue, it was thought that the success of the production was due more to its performance and musical elements than its script. The judging panel compiled a shortlist of scripts that we felt reflected the diversity, originality and excellence of Welsh play writing in English, it was further decided that the award of Best Playwright required each of us to read the scripts under discussion and make a final decision based on the merits of the script rather than the relative merits of its production. It is possible for a talented director, production team and cast to imbue a merely serviceable text with a performance energy and illusion of depth that makes it seem better than it actually is. Also, a fine script can be ill-served by an incompetent or passionless production. To allow each nominated play to be assessed on its individual merits as a text, we sent out for scripts that arrived in our inboxes over the Christmas and New Year period. 1) Is the ‘world’ of the play created through a use of language that is distinctive, original and personal to the playwright? 2) Are the main characters of this play created with sufficient detail, nuance and texture so that the illusion of substantial, complex and multi-faceted human beings is established and maintained throughout the course of the drama? 3) Has the playwright constructed the action of this play so that it seems logical and yet surprising? 4) Do the themes of this play address contemporary concerns? Happily, all nominated plays succeeded in satisfying at least two of these criteria. 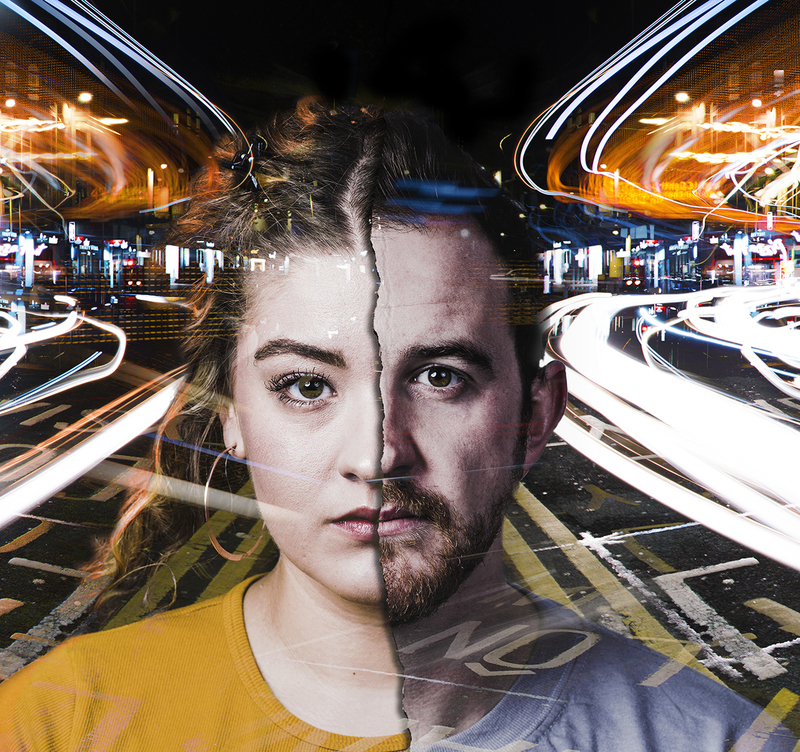 Tonypandemonium by Rachel Trezise is clearly a deeply personal story, ambitiously experimental in form and regaled in the idiomatic speech of the Rhondda. Sue: The Second Coming by Dafydd James & Ben Lewis is riotously funny and crackles with verbal energy and satirical wit. Salt, Root and Roe by Tim Price is a haunting tragedy about a pair of enigmatic twins – with its terse dialogue and economically drawn imagery the drama is mysterious but never vague. Fallen by Greg Cullen is a vibrant and playful take on the process of myth making that draws on the tradition of Welsh oral story-telling. After rating the play texts from one to five – one given to the play we considered the best written, five to the least – each member of the panel submitted their list to Guy O’Donnell who calculated the result. Remarkably, given that each panel member reached their decision on their own, there was little disagreement among us as to which play was the ‘best’ written in English. (Or should that be the play we felt was of particular distinction worthy of special recognition?) 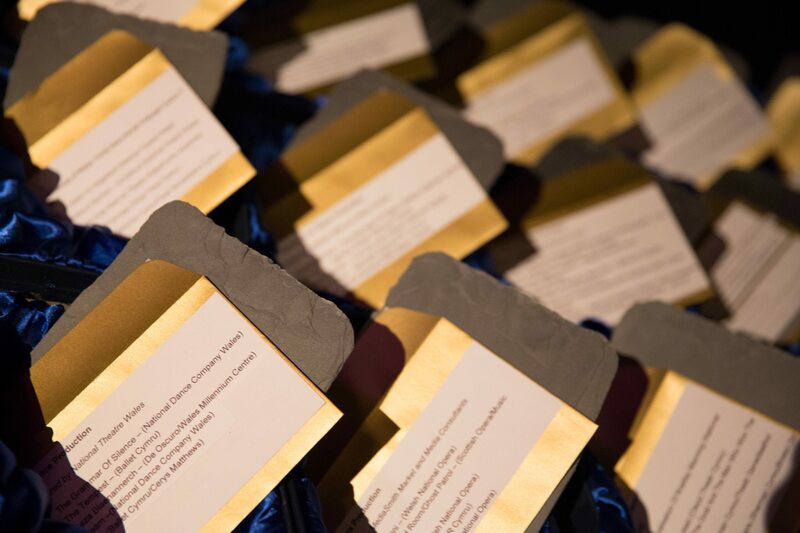 The winner will be announced on Saturday 25th January 2014 at a ceremony hosted by Sherman Theatre Cymru. Our choice may prove controversial but no one should doubt the assiduous care and attention that went into arriving at a decision that was collective, conscientious and fair. 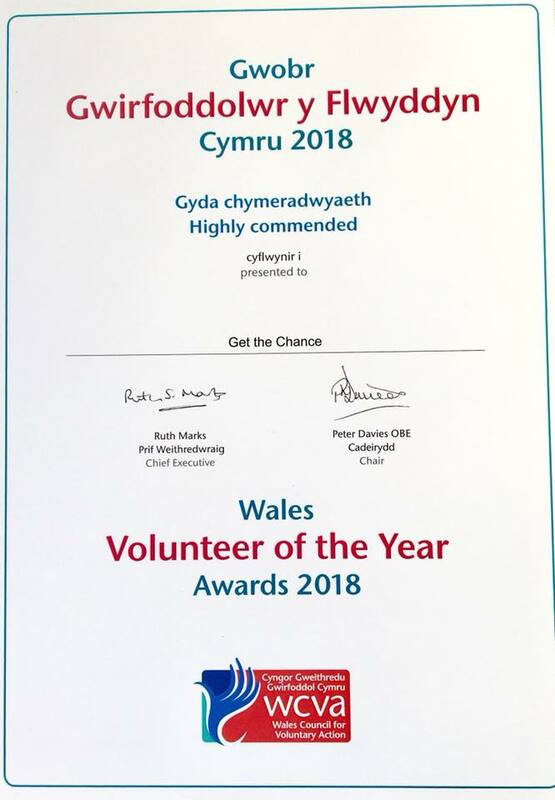 Phil Morris is Managing Editor of the Wales Arts Review, he was formerly Senior Lecturer in English and Creative Writing at the University of South Wales. Nominations and further information on Inspirational Educator TCWA 2014. For this years Theatre Critics of Wales Awards the Young Critics were keen to support educators who they feel make a real difference in supporting the link between the formal education sector and the performing arts. The creation of this new category was also a result of the new WAG Arts in Education review which was written by the Chair of Arts Council Wales Dai Smith. The Young Critics agreed with Dai Smith recommendations so rather than wait for adults to create this award the Young Critics and the TCWA panel did it themselves.The Young Critics and the panel contacted a range of arts organisations and venues to request that they nominate an individual who they felt Inspired young people in the arts . The nominations are shown below and in some cases links to the work that inspired the nomination. Raina supported her students to work on the Fresh Ink project with the Creative Learning Department at Sherman Cymru, Cardiff. Ioan was nominated for his role in the You Should Ask Wallace production the show, celebrates the life of one of the 19th century’s most remarkable Welsh intellectuals – Alfred Russel Wallace a Victorian Scientist from South Wales.The production took Ioan to Wales, England, Rio de Janeiro and Singapore. Aled Jones Williams is an author and dramatist who has worked with Bara Caws on numerous occasions. Though his work for the company in the past was mainly writing commissioned works, more recently he has been working in conjunction with Bara Caws holding writing workshops both in schools and for the general public. At the moment Bara Caws are working on an ensemble piece which will be staged in Spring 2014 which will be scripted by the cast members themselves, and they have invited Aled to mentor the writing aspect of the project, which has already been put in motion. He has been, and continues to be, an inspiration to all involved in his workshops. In her role as Associate Advisor for Early Years, Vale of Glamorgan School Improvement Service and now as Foundation Phase Officer for the Central South Consortium, Amanda works tirelessly with teachers to raise awareness of the importance of the relationship between the arts and education sectors. 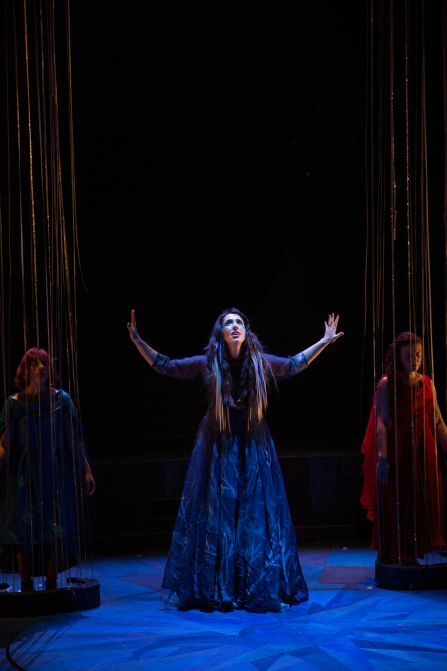 She was the catalyst for two major projects with Theatr Iolo – “Words in the Woods” and “Tales of Driftwood”. 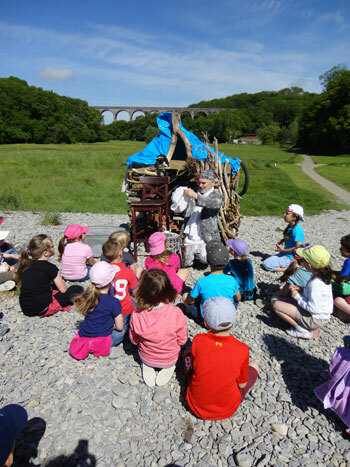 These projects which encouraged story-making by children aged 3-7 imaginatively used a theatrical intervention in the beauty and excitement of an outdoor setting to engage the children’s creativity, stimulate their imaginations, and develop their literacy skills. Amanda developed the germ of the idea for both projects, brought Theatr Iolo together with the Vale of Glamorgan Forest Education Initiative Cluster Group, and inspired teachers about the way in which, through engagement with these projects, they could work not only develop their children’s literacy skills (the primary aim of each project) but also explore each of the 7 Areas of Learning which form the Foundation Phase “curriculum”. “Words in the Woods” was deemed to be such a successful model of good practice that it was embraced by the Welsh (Assembly) Government Foundation Phase Team and used as the main focus for a series of pan-Wales Foundation Phase Teachers’ conferences which were attended by the then First Minister, Rhodri Morgan, and four other cabinet ministers. Over the last few months, over the last few years to be more precise, Elen has influenced a great many performers, directors, industry practitioners, students and pupils. She has mentored prospective directors, and has offered training for prospective actors. Over the past few months Elen has been actively running workshops in schools and colleges throughout the country, and led on the New Directors’ Training Course, held in partnership between Theatr Genedlaethol Cymru, Sherman Cymru and Living Pictures. 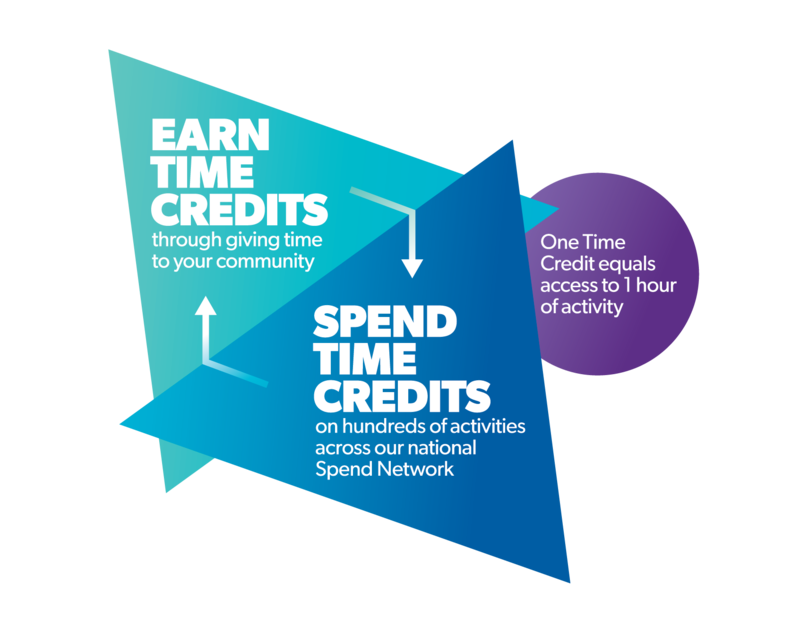 This scheme offered training for inexperienced directors. Elen led the course which gave the attendees an opportunity to develop skills in text analysis, and to obtain a better understanding of the development of story and character. She gave the prospective directors an opportunity to work with an experienced creative team and with experienced writers, giving them the opportunity to research various methods of staging and designing for multi-platform, as well as an opportunity to learn marketing skills. This September the course reached its peak with a special production in Sherman Cymru, Rhwng Dau Fyd (Between Two Worlds), which was directed by three of the directors who attended the course. This project formed part of the work presented in the World Stage Design Festival. Her exceptional enthusiasm for the subject. Theatre means a lot to Elen, for her theatre is not merely about entertainment but an attempt to discover the truth – the truth about humanity. Her ability to treat everyone as an individual, and her desire to understand what is unique about each person under her care. Elen attempts to understand the whole person, and aims at reaching to the heart of one’s beliefs in order to find the best way to help that person grow and develop, not only in his or her career, but also as a person. She has a holistic attitude towards training. Her readiness to be honest about her experiences. Throughout her teaching Elen has been very giving about her unique journey as a director, and by being honest about her failures she succeeds in inspiring others. Apart from teaching those on the directing course, over the last few months Elen has also been tutoring in schools and colleges. “Thank you for the welcome and the fantastic and worthwhile workshops. Pupils were very enthusiastic on the way home…” – Heiddwen Tomos, Dyffryn Teifi School. Many young people were cast in this production. Elen taught many of them how to run their own workshops. Some of the actors continue to hold workshops and to develop their own work under Elen’s leadership. Elen held workshops alongside the show throughout the country in order to introduce students to Shakespeare’s work. Dyled Eileen – a production based on the life of protester Eileen Beasley. Elen held workshops and talks for pupils and the general public. During the last few months Elen has visited a great many organisations, such as Merched y Wawr, in order to teach the members about theatre, and to promote the work of Welsh language theatre. Her energy as a teacher and mentor knows no bounds. 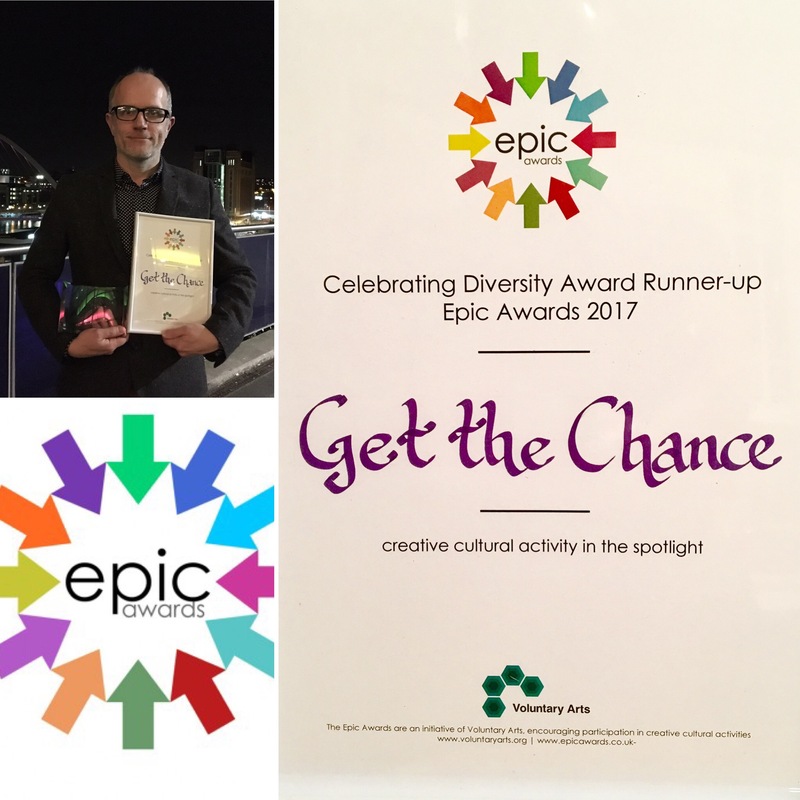 “Since meeting Elen back in 2003/4 on a writing course for ‘Script Cymru’, she has been a very important figure in my development as an artist. I have attended many of ‘Living Pictures’ workshops, and whilst on her Directing course in 2010, honed the art of directing which has been totally invaluable. She is an inspiring person, tutor, and mentor. In our opinion, she fully deserves to win this important award as an acknowledgement for her tireless work promoting the world of the theatre amongst people of all ages. 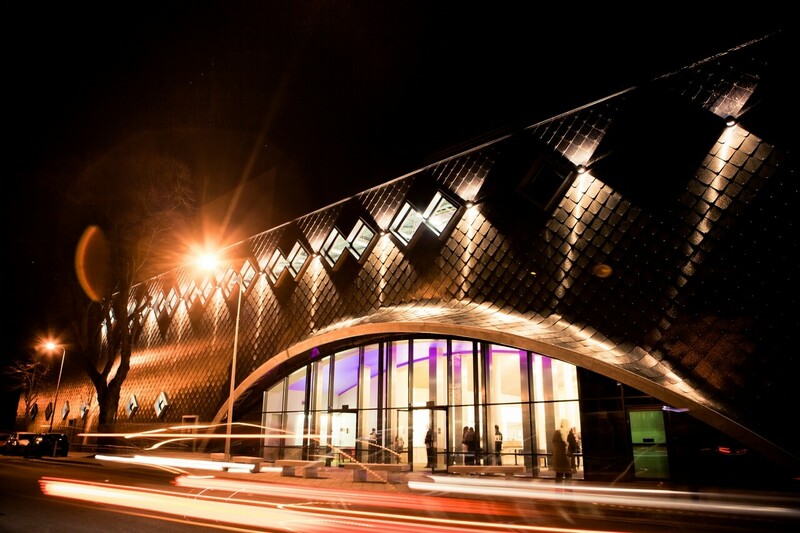 The Theatre Critics Wales Awards will take place at the beautiful Sherman Theatre in Cardiff on Saturday the 25th Jan at 7.30 pm. Our panel for this years awards is below, all of the panel give their time for free to celebrate the work of Welsh artists. 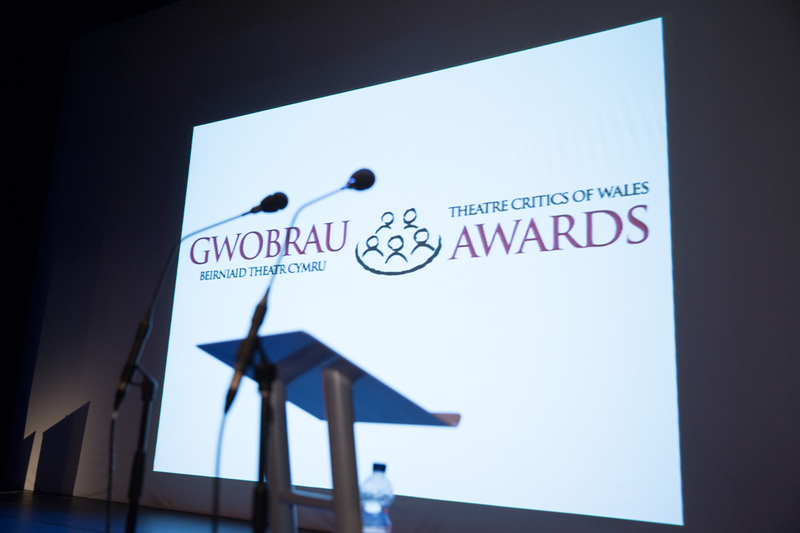 We are delighted to announce the second Theatre Critics of Wales Awards (TCWAs) recognising excellence in the performing arts in Wales, Jan-Dec 2013. Saturday 25th January 2014, 7.30 prompt – aprox.10.00pm. This is an invite only event you must contact Response Wales to request entry. Dress Code Smart not black-tie. Each nominated artist is offered a free ticket +1. Each nominated production has a free ticket offered + 1 for all of the company members. We may be able to offer additional tickets upon request closer to the event. Theatre Critics Wales Awards confirmed short-list. The Theatre Critics Wales Awards nomination list was finalized on the 24th December. The nominations will be exclusively revealed by @karenmediawales in the Western Mail, Sat 4th Jan 2014. Nominations cover the period Jan-Dec 2013. The Awards take place @ShermanCymru Sat 25th Jan 2014. On Wednesday the 11th of December I attended a completely sold out viewing of The Sherman Cymru’s – Sleeping Beauties. With an outstandingly designed set by Rachael Canning, stunning costume design and fantastic lighting display, this really is the Christmas show of the year. Written by Robert Alan Evans and directed by Roisin McBrinn, Sleeping Beauties puts a modern day twist on a much loved classic fairy tale. Not only is the audience re-living a childhood dream, we are also exposed to many other favourites that have been intricately woven into this cleverly written adaptation. Both children and adults were spellbound by this magical production, with the audience responding immediately and excitingly to the cast breaking the fourth wall, encouraging them to clap and sing along. Composer and Musical Director Lucy Rivers has ensured easy catchy tunes to enable us to join in quickly with no hesitations. It’s the Christmas tale that adds a touch of sparkle that gives the production an edge you won’t find of a typical pantomime, we were spellbound from start to finish. With an exceptionally talented cast, a special mention must go to Lisa Jen Brown for her superb portrayal of the Witch, a storyteller, cast member and singer, Miss Brown stood out from the rest with her clear love and dedication to the role being portrayed. Following the eruptions of laugher from both children and adults alike, the standing ovations and the deafening cheers I would highly recommend this enchanting Christmas show to people of all ages as it’s so beautifully performed there’s something captivating that appeals to all of us.